The Magnetic Resonance imaging or the MRI is a type of imaging test which is mainly done with the help of some very powerful magnets, radio waves and computers. They all together make some detailed pictures of the inside of the human bodies. When the doctor prescribes a patient for an MRI then the patient goes for the test. 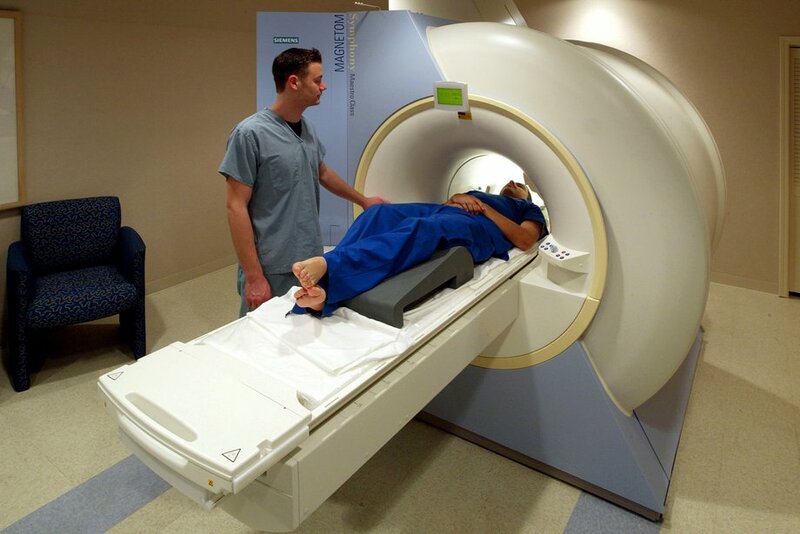 There are many MRI in Bangalore centers where the test is done step by step. This test is mainly prescribed because the doctors want to diagnose a certain disease or if they want to see if a certain treatment procedure is working or not in case of a disease. Why an MRI is needed? The major organs in a human body where the MRI can be done are on Kidneys, Livers, Pancreas, Breasts (women), Ovaries (women) and Prostrate (men). There is another kind of special MRI done to patients which is also termed as the functional MRI and this is mainly done to figure out the brain activities in a human. This test is majorly done to have a look on the blood flow which is taking place on the brain and to see which areas become active when they are given a certain task. This functional MRI or the FMRI can also diagnose some crucial brain issues like the effect of cerebral stroke or some kind of brain mapping when one needs a proper brain surgery. It is also done to find out the treatment procedure in epilepsy or in order to remove a brain tumour. When a patient is asked to go for an MRI by the doctor, the patient should let the doctor know if they are having the following conditions. If they have some kind of health issues with liver and kidney. Have any kind of allergies in particular food items and medicines or if they suffer from asthma. If they have had a surgery recently. If they have grown a foetus inside or if they are pregnant. If one has a tattoo because the ink that was used to draw that may contain metals. At the time of the test the patient needs to remove all the clothes that they are wearing and then war a loose gown like thing so that the images obtained can come out clear. When the patient enters the MRI testing room, then need to keep certain things outside like dentures, cell phones, coin filled bags, hearing aids, eye glasses, underwire bra, keys, wig or a watch. If a patient has some trouble with the enclosed spaces or if they are nervous about the test then one needs to tell the doctor about it. Then one can opt for an open MRI or they are given some medicines in order to relax during the time of the test. When one talks about a typical MRI machine, it is actually a large tube which has hole at both the ends. Also there is a very strong magnet that surrounds the tube. The patient needs to lie on the table and it slides inside the tube. There is another short bore system where the patient does not go totally inside the machine. Before the test takes place, the patient is given some contrast dye in the vein of the arm or hand. This dye can also help the doctor to see the structures inside the body more clearly. The dye which is mainly used here is gadolinium. This can also leave some metal taste in the mouth of the patient. Then the MRI machine can also create a very strong magnetic field inside the body. Then the computer takes all the signals from the MRI and uses them to take some secret pictures. Each of the pictures actually reveals a very thin slice of the human body. One can also get to hear some thumping noise or some tapping sound when the test takes place. It is the sound of the machine that creates energy to take the pictures from the body. if that irritates the patient then one can also ask for a head phone or ear phones to avoid all the muffle sound there. The entire test can take a time from half an hour to 90 minutes depending on what part of the body has to be imaged. There are best MRI scan centres in Bangalore where all the procedure are done properly and one should follow all the steps. But if one is pregnant then they should not take the contrast because it can affect the foetus that is present inside the body. Next How the python compare lists with various functions.